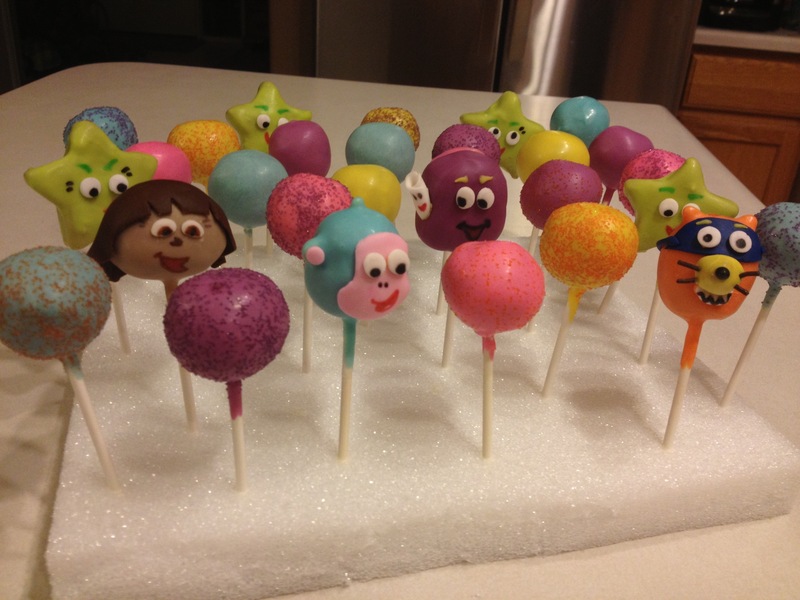 This week for weekly cake pops, I had a Dora the Explorer themed order. 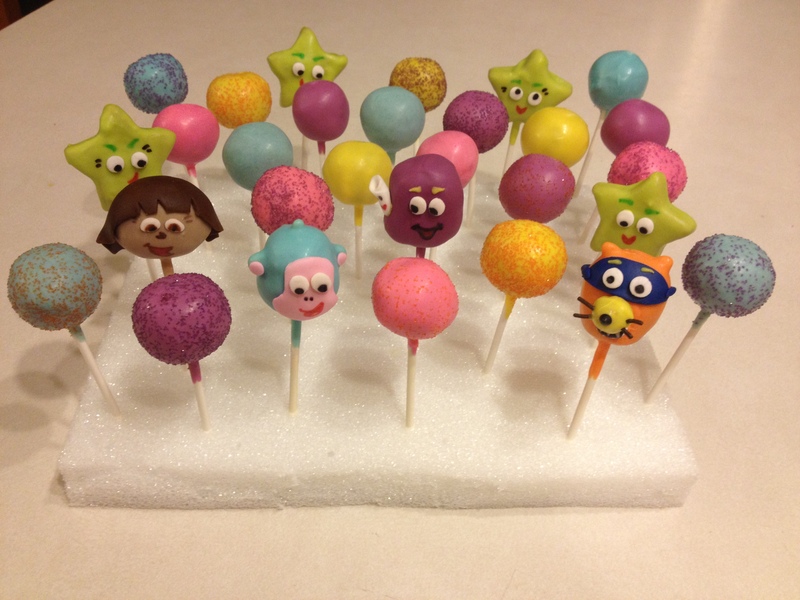 I wanted to use a few of the main characters and then used the rest of the cake for some simpler ones. Here we have Dora, Boots, BackPack/Map, and Swiper. 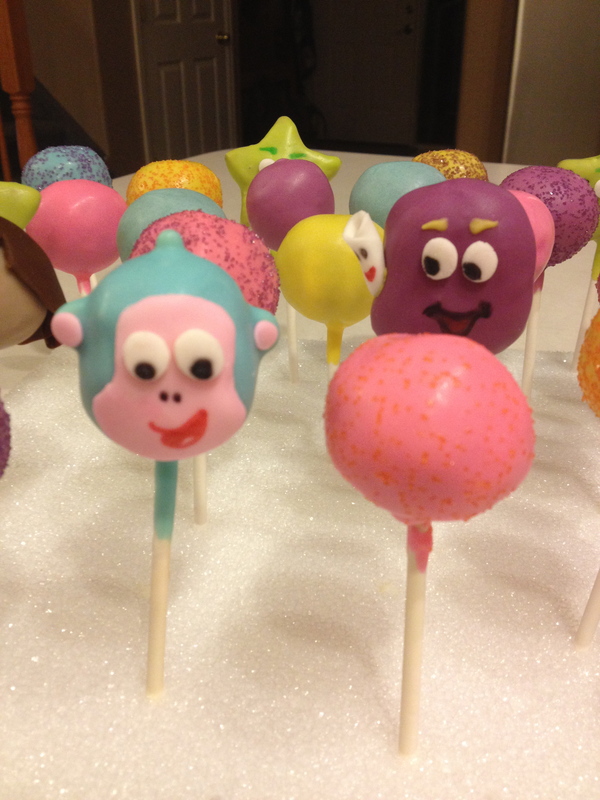 I have not seen the show in forever (since I used to babysit 5-6 years ago and in order to make these, I researched a little and also found these little traveling stars, and thought they would be cute to add in here too. I would say swiper ended up being my favorite. Then Boots. 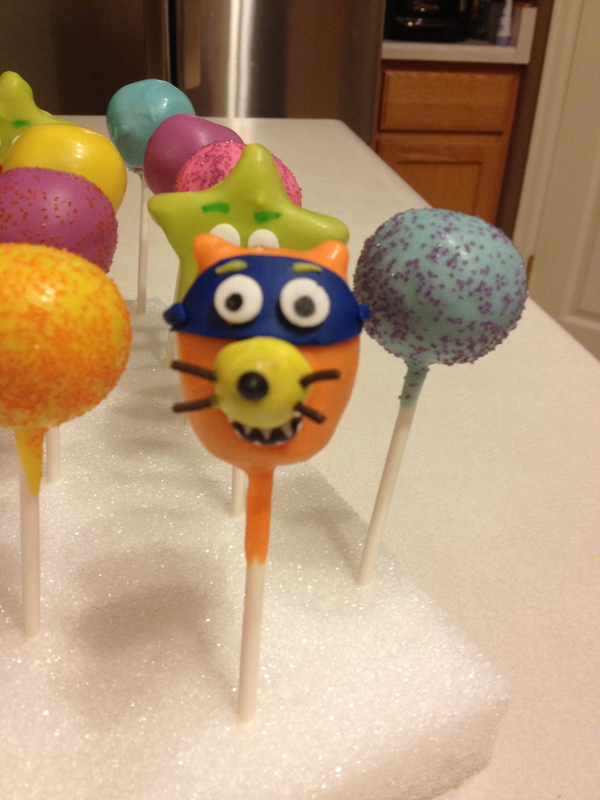 For swiper: I used fondant for the blue mask, mouth, and eyes, a smaller piece of cake coated in yellow candy melt for the nose, and then brown sprinkles for the whiskers, and yellow candy melt for the eyebrows (applied with a toothpick). 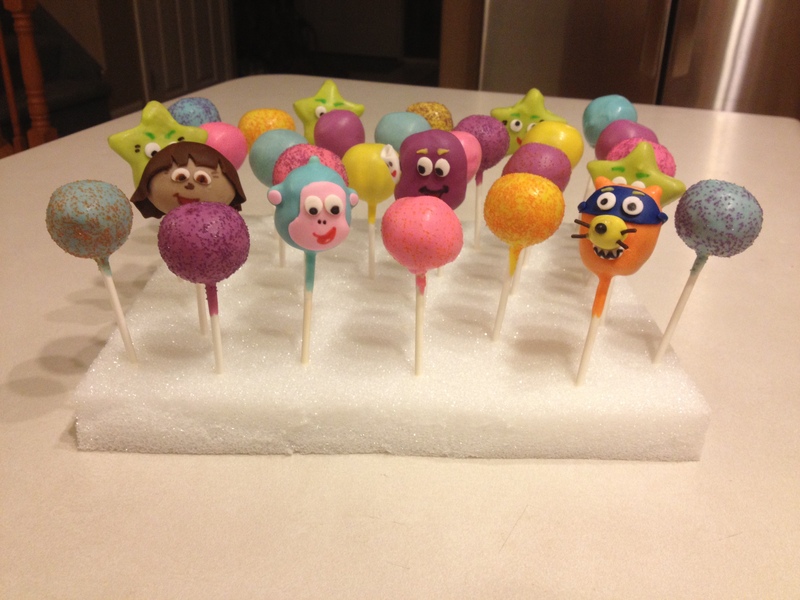 For Boots: I used a white tootsie roll for the top of the head (I realized later there should be more than one), and then fondant for the pink face and ear pieces. For Back Pack: Just edible marker, and fondant rolled up for Map. For Dora: Dora and me were not friends. I am not completely satisfied, but it was as good as I was gonna get :\ Her hair and eyes are fondant. 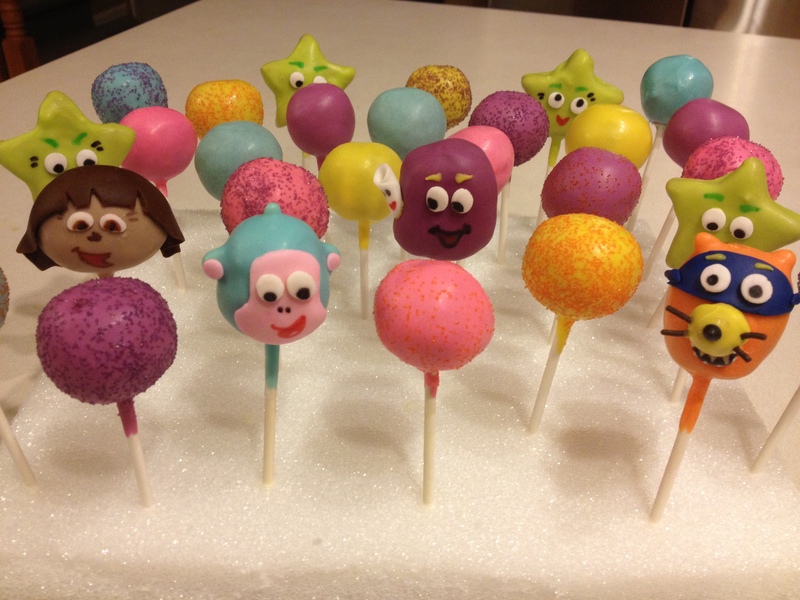 Cake pops that require shaping and decoration are my favorite. This order had a little bit of everything! Place an order below! Want to see more! Week one here and here, Week two, here and here!